Citroën Ready to Run Luton offers a high volume capacity, fully enclosed body work and comes with useful additional storage space, simply by using the space above the cab to extend the front of the body. The Luton part of the body offers a storage space for small, light items, such as load securing straps. The Ready to Run Luton range includes two variants based on the Relay L3 and L4 single cab. The longer L4 models provide a high-volume body offering up to 20m³ of load space. With standard construction, payload spans 979kg* to 1,147kg*. 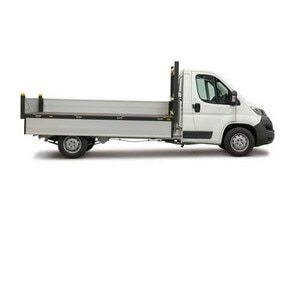 Citroën Luton provides a rectangular load floor, free from intruding wheel arches. The uncluttered floor makes it particularly suitable for palletised loads and other freight that needs enclosed bodywork. Citroën Ready to Run Luton bodies are equipped with an aerodynamic pod over the cab to ensure smooth airflow at the front of the vehicle, helping to keep fuel consumption as low as possible. Citroën Luton bodywork is built from high-quality GRP panels on a galvanised steel and aluminium frame, providing robust construction and optimum payload capacity. Payload can be raised by around 80kgs by choosing lightweight body panels with a lightweight body framework available as an option with all Ready to Run Lutons. A protective kick strip fitted to the front bulkhead at floor level helps to guard against accidental damage. All Citroën converted Lutons are equipped with both load locking strips and tie rails. 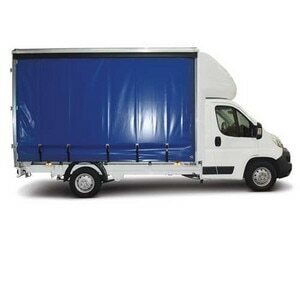 The tie rails are fitted higher up the body sides and together provide a range of load securing options. The birch plywood flooring provides a durable base that is comparatively lightweight. Access to the load area is through a lightweight alloy roller shutter door with locking handle at the rear. Rear barn doors can be specified as an alternative. The Ready to Run Luton is well equipped, featuring an LED interior light for bright illumination with minimum power consumption and plastic wheel arch fittings with spray suppression mud flaps as standard. External marker lights are also fitted as standard. Inside the cab Citroën Luton comes equipt with air conditioning and plenty of storage space so you can take everything you need on all journeys. 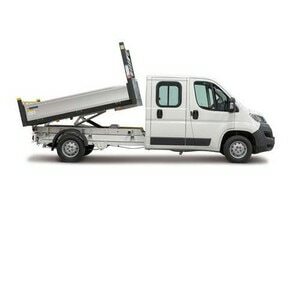 Optional equipment includes a 500kg capacity tail lift and supplementary load securing equipment. This includes additional load lock tracks, tie rails and load lashing rings. You can also benefit from Grip control,a traction control system which can aid the driver and improve passenger comfort over a range of terrains including snow, mud and sand. Citroën converted vehicles come with an extendible writing panel which is perfect to support purchase orders, smartphones or tablets without having to leave the cab. There are two USB ports in the cabin of Citroën Luton. One is connected to the radio and can recharge mobile devices, while the other allows recharging of a second device. With 13 different storage spaces in Citroën's Low-Floor Luton including a lockable glove box, you can take everything you need for a days work. Citroën Luton is designed to meet European standards and comes with a 3 year/ 100,000 mile warranty covering the whole vehicle as well as many other advantages. To find out more, contact your local business centre and discover all the benefits of a Citroën converted vehicle.